Driving two spectacular 192PS hot hatches on a hilly road is bucket list stuff, and the run-up to this story has given me sleepless nights. 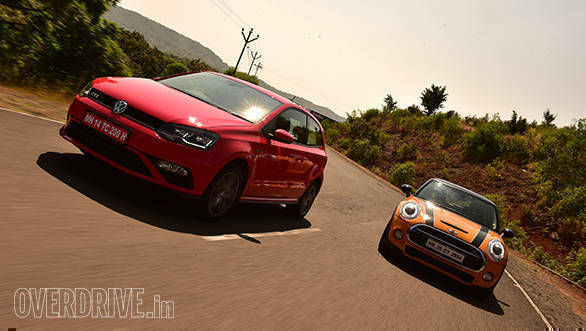 What's been troubling me is the choice I'm forced to make  picking a winner between the Volkswagen Polo GTI and the Mini Cooper S. It's especially hard for me because ever since I drove the Mini about a year ago, I've been madly in love with it. It's the only car I've ever wanted this bad! Then Volkswagen went and launched the Polo GTI in India, and for the first time I reconsidered how I felt about the Mini. The Polo GTI is considerably cheaper, makes the exact same amount of power and wears the legendary GTI badge which certainly counts for something. To me, if the Polo GT was that impressive, the GTI had to be out of this world. But so is the Mini and there was only one way to settle this matter, once and for all. We drove the wheels off both cars on some of the nicest twisties we could find and then drove some more. But that only made the decision tougher. Here's my dilemma. In most books, the Mini is the clear winner here. It's bright (and I'm not just talking about the colour), fun and stands out like colour in a black and white picture. The Mini Cooper's design has the perfect mix of old-school charm and new-age aesthetic. The unique shape, curvy design cues and 14-spoke wheels help relate it to the original Austin Mini, while the DRLs, chrome trims and faux bonnet scoop keep the car relevant. In comparison, the Volkswagen Polo GTI's sophisticated design looks sharp and gives you the impression that the car takes its job very seriously. That job, of course, involves being very fast. For most of the general public, it might look too much like the Polo to tell the difference, but the Polo, in my opinion, has always been one of the best-looking hatchbacks in India. The two-door set-up only enhances this, but besides that there only a few other subtle differences for the keen observer. The front end gets a subtly different bumper and a GTI-badged honeycomb grille with a red stripe that neatly extends into the headlights. Although the headlamp shape is the same, the new LED lights with the hot DRLs are certain to grab some attention. The 16-inch wheels are new too, but truth be told, the lovely 17-inch wheels we saw on the GTI at the 2016 Auto Expo are sorely missed. The slim plastic cladding running all around the bottom of the car forms a faux diffuser on the new rear bumper and makes room for a dual-barrel exhaust pipe. It's perfect for people who don't like people crowding around the car every time they stop. It's this same understated design theme that I found inside as well. The first time I saw the dash, I immediately thought "Polo!" But there are differences here too. 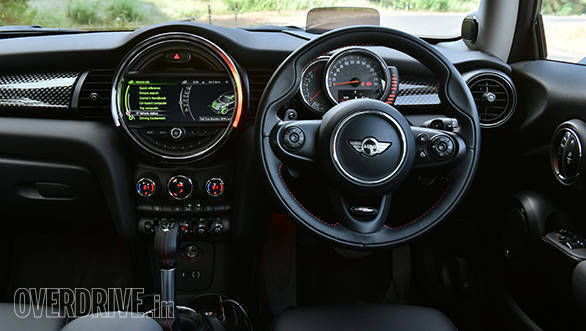 The centre console is slightly different, while the sporty flat-bottomed steering wheel and larger dials are new too. There is also the red contrast stitching which you won't find in the GTs. The chequered seats may seem a bit out of character for some, but I like it. It's retro and reminds me of the lineage that the GTI badge brings with it. The seats are also well bolstered and very comfortable. 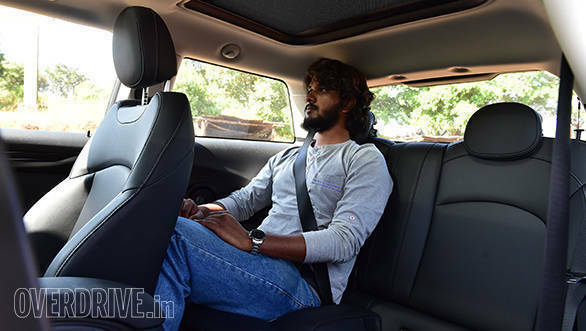 The Mini Cooper's interior, like its exterior, screams fun! Right from the extensive use of toggle switches to the interactive LED strip around the infotainment unit, everything about it is just very, very cool. The seats are very comfortable and even feature adjustable under-thigh support  a feature tall people love and usually see only on high-end luxury and sportscars. Considering this is such a unique and funky design, it immediately feels more special than the GTI. But the Polo has better ergonomics and more space. It's the Polo GTI! 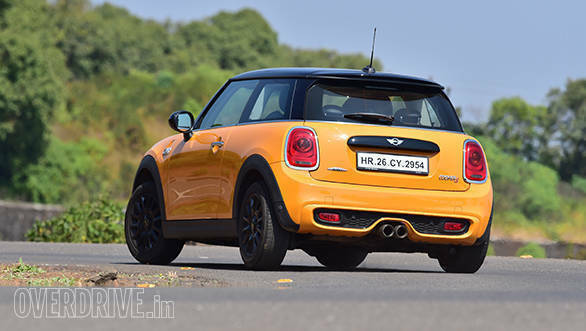 It managed 0-100kmph in 6.7 seconds while the Mini does it in 7.2 seconds. We weren't expecting that because the Mini has a more frenetic feel that creates a higher sense of speed. But the reality is that the Vbox does not lie! The Polo, while smoother and more civilised, is the faster car here. 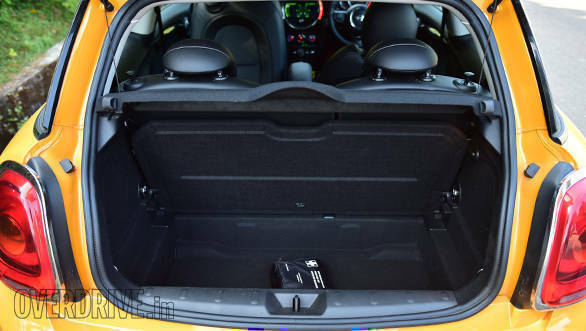 The figures we have used for the Mini are from our road test review as the car here comes with an optional JCW tuning kit that boosts power and torque. This feature remaps the 2.0-litre turbocharged engine to produce 210PS and 300Nm from the stock 192PS and 280Nm. It offers two modes  Sport and Track  which are activated by Bluetooth using an uber-cool detonator-type keychain that slots into one of the cupholders. Sport mode keeps the exhaust note restricted to a deep, but relatively soft note while Track mode will, as Shakespeare would have said, "let slip the dogs of war!" The sound turns into a ridiculously loud note with frequent pops and crackles that keep you giggling like a little schoolgirl! It's so loud that it's probably illegal, as Mini warns that this mode is only for closed-circuit use. It's also very, very addictive. Maybe too addictive. That alone adds an extra 10kmph in your head every time you give it the beans! All this, for an additional sum of 'just' Rs 2.60 lakh. But don't for one second think that it's this kit that's got me drooling over the Mini like a leaky faucet. I fell in love with the Mini last year when we did a story for our anniversary issue. When we drove it for about 2,000km all through Rajasthan in its stock form, and the car simply blew us away. The engine and throttle are very responsive, especially in Sport mode, and there's more than enough power anywhere in the rev range with peak torque kicking in from as low as 1,250rpm. 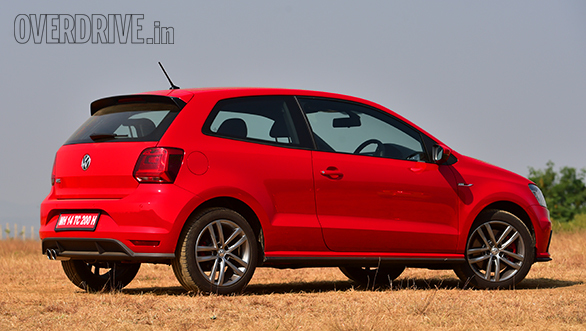 Peak power comes in from 4,700-6,000rpm smoothly but not quite as seamlessly as the Polo GTI. In comparison, the Polo GTI's 1.8-litre TSI engine has a wider torque spread with its 250Nm coming in from 1,250-5,300rpm. The 192PS of power picks up where the torque left off at 5,400rpm and stays on till the 6,200rpm mark. The engine responds quickly to the slightest inputs from the throttle and is definitely more rev-happy than the Mini's. The 7-speed DSG, however, is the star of the show. It's staggeringly quick to provide downshifts and upshifts and is very, very smooth. The Mini's 6-speed unit is very good, but the GTI's is just that little bit faster and creamier. But the Mini offers a more versatile set-up with three driving modes  Sport, Mid and Eco  for the damper (optional! ), steering, and engine settings and a separate Sport mode for the transmission. The Polo GTI, on the other hand, has just two modes  Sport and Drive  which are activated using the gear selector and only changes the response from the powertrain. Hands down, it's the Mini Cooper. The first thing you'll notice about the Mini is how sharp the front end is when you turn into a corner. The electrically assisted steering has a lovely weighted feel and is very precise. In fact, some may find it too reactive at first. The level of grip is simply astonishing as the Mini pokes and prods you to go faster around a bend. And when you do so, it just asks for more! It's also more than willing to let its rear end step out every now and then in a very controllable manner, when you lift off the throttle. This generation of the Cooper has found a beautiful sweet spot of razor-sharp response with confident stability. But it's not just a great corner carver. Give the Mini a long stretch of highway and it will stay glued to the road even at very high speeds. It's not the kind of stability you feel while driving a big luxury car though. It feels like the car is firmly pressed against the road. The Polo GTI, on the other hand, feels like a big German saloon at higher speeds  utterly calm and composed. But the Volkswagen is very good around corners too! In the corner, the GTI lives up to its German lineage, feeling resolutely planted and confident. The turn-in however, is noticeably slower than the Mini, and the steering too feels a lot like a stock Polo, lacking the Mini's feedback. We also noticed that high-speed side-to-side transitions produce more body roll than expected. And quick exits from tight corners will either cause traction-control interference or wheelspin if the system is deactivated. The explanation for this is that Volkswagen thought it needed to make the GTI India friendly. The suspension has been raised from 140mm to 155mm to tackle Indian roads, and both damper and spring rates have been revised for more pliance and ride comfort. Volkswagen has also wrapped the smaller 16-inch wheels in Bridgestone Turanza tyres which are generally found in fast luxury sedans. They work great in most situations, but aggressive driving makes you wish for the more sporty Potenzas that this car comes with internationally. 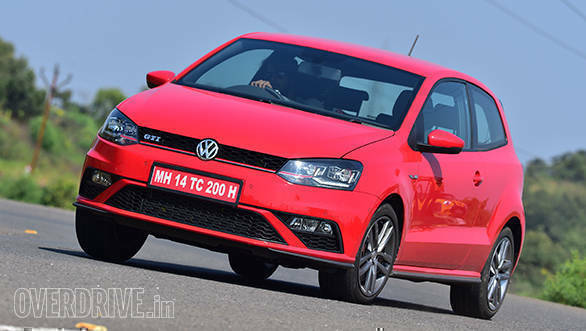 Don't get the wrong idea here  the GTI is still a great handling car, easily the best below Rs 30 lakh. But on paper, the GTI should feel a lot more nimble than the Mini with its slightly shorter wheelbase. It doesn't though, and this India-specific set-up is probably why. I get the sense that the GTI has so much more potential as a driver's car, and it just doesn't feel as laugh-out-loud entertaining as the Mini. However, there is one aspect where the GTI simply destroys the Mini  brakes. They're very, very impressive with a sharp, early bite and strong consistent performance that gave me the confidence to brake quite late into corners. The brake pedal has a good, firm feel and told me exactly what's happening at the wheels. In comparison, the Mini's brakes have a later biting point, don't offer as much feel and tend to run into the ABS sooner. Compared to the GTI, I really had to step on the brakes in the Mini to slow it down from the crazy speeds it gets up to in the mountains. The first time I drove the Mini, it seemed practical enough to be a very good daily driver. The suspension, although a bit firm, wasn't rock hard, and it even made it through Rajasthan without a single scrape of the underbody. The Hankook tyres, however, needed some looking after to avoid punctures. I thought there was just enough space in the car to fit four people on short drives and sufficient boot space to fit one suitcase. Of course, my judgement could have been a bit skewed by the cloud of emotions I felt after driving the car. But the GTI has changed everything. It's the more practical car here by a mile! With the new suspension set-up, more practical tyres and added underbody protection, I can drive this car around like a regular hatchback. The supple suspension absorbs the small ruts on our roads without complaint and driving over the larger ones didn't hurt my back either. 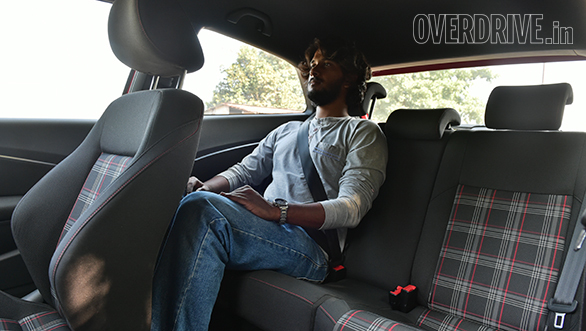 On the highway, the Polo GTI feels well damped and absorbs undulations well, keeping the car very stable. It essentially feels like a well set-up luxury car. In comparison, the Mini's suspension, even with the dynamic dampers softening up in Mid and Eco modes, is still comparatively stiffer and protested with a loud thud if I didn't slow down over ruts. While it felt planted on the highway, I was moved around in my seat quite a bit on undulations. 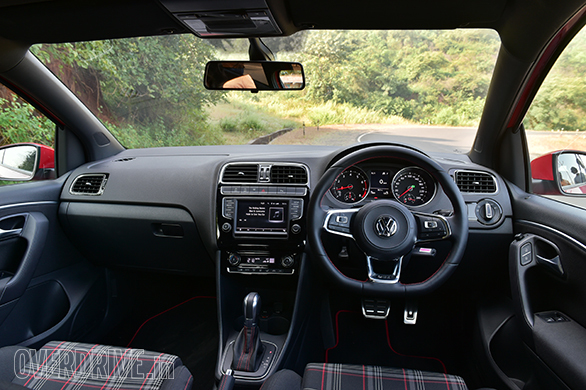 The steering, meanwhile, doesn't get as light as in the Polo GTI at slow speeds, making it a bit more cumbersome in traffic. The excitement certainly doesn't come for free! 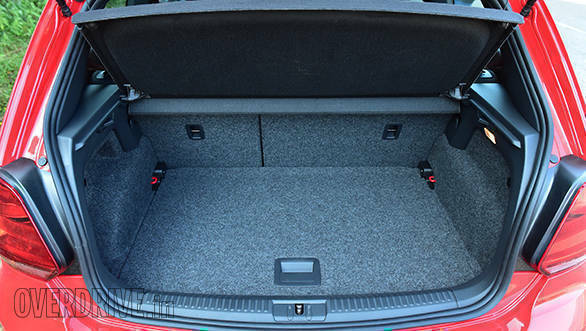 Since this is essentially a Polo with two doors, there is also enough knee room and shoulder room to fit five people in a pinch and more than enough boot space to store everyone's baggage for a weekend road trip. Then there's the space saver which is far more practical than the Mini's run flats. 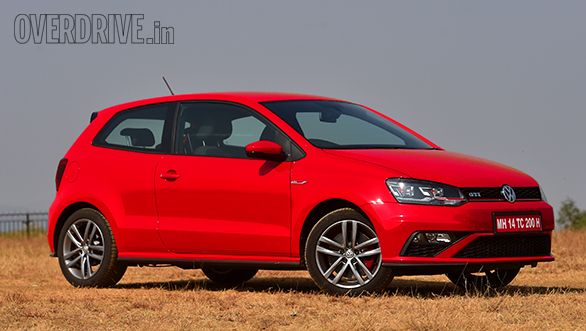 The Polo GTI is a CBU and priced at Rs 25.9 lakh (ex-showroom, Maharashtra). At this price, it gets LED headlights, paddle shifters, traction control, ESC, ABS and six airbags. The Mini isn't so simple. 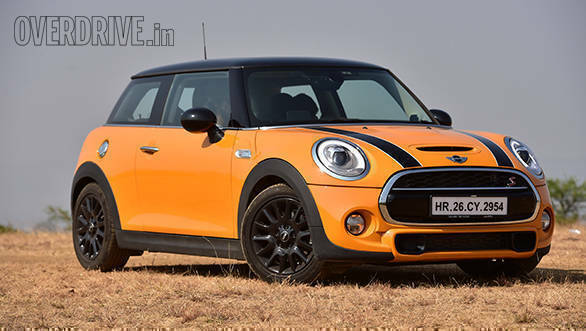 The standard Mini Cooper S is priced at Rs 31.78 lakh, ex-showroom. For that price, it gets LED headlights, auto wipers, the three driving modes, a six-speaker infotainment system, six airbags, ABS, ESP, traction control and cornering brake control (a feature that distributes brake force to each wheel individually while braking in a corner). Then come the accessories, and there's a mountain of them. But we're just going to list what we think the car deserves. Paddle shifters are a must and they come with the Sports transmission - Rs 25,222. Add another Rs 30,267 for the sport leather steering wheel that is mandatory with the sport transmission, but is listed separately. Dynamic dampers are important to make the car more practical - Rs 80,711. We'd rather skip the lovely Rs 1.6 lakh 12-speaker Harman Kardon music system for the raucous Rs 2.6 lakh JCW tuning kit. 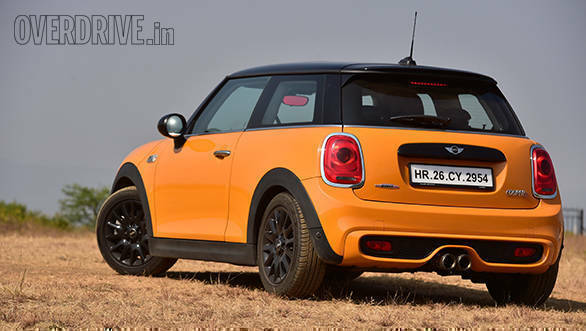 With all of this, the Mini Cooper S costs Rs 35.74 lakh before taxes, which equates to well over Rs 40 lakh on road. 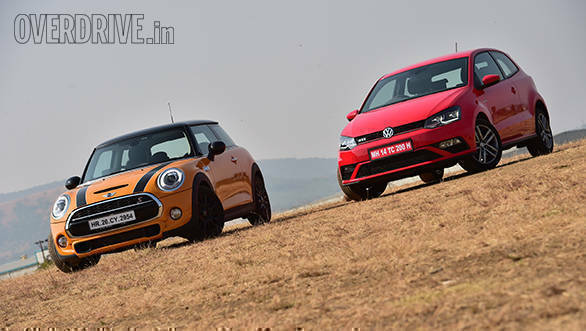 Based on how you spec the Mini, it can cost anything from Rs 7-15 lakh more than the GTI. That's a significant difference for two cars that are positioned and priced head to head in the UK. Given the fact that the Polo is faster, more spacious, more practical and significantly cheaper, victory here is undeniable. It simply makes the most sense. That said, the Mini creates emotions that almost no other car can. It's one of the only few sporty cars that feels so connected, but also allows you to safely enjoy approaching its limits in the Indian environment. The Mini's also got tons of character, and that's something few cars, GTI included, can offer so well. So while the Polo GTI has won the test, the Mini still has my heart.